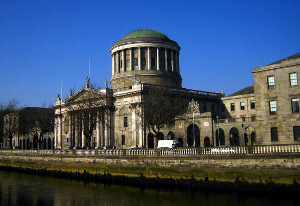 The lawfulness of a man’s detention was referred to the High Court by way of case stated, after a complaint was made regarding the two-hour delay in a doctor arriving at the Garda station for the purposes of taking a sample of urine. Finding that the doctor attending an emergency was a reasonable justification for the delay, Ms Justice Deirdre Murphy said that the man was in lawful detention at the time he was required to produce the specimen of urine. In September 2015, Mr Antoin Brehon was pulled over by Garda Darren Conlon on suspicion of drink driving. Garda Conlon made a requirement under s. 9 of the Road Traffic Act 2010 for a preliminary breath specimen. The alcometer registered a reading of “fail” and Mr Brehon was arrested for drunk driving under s. 4(8) of the Road Traffic Act 2010. At Westport Garda Station, Mr Brehon’s details were entered into the custody record, he was handed a copy of his notice of rights, and informed that he had been arrested for drunk driving. Garda Conlon contacted Westdoc to request the attendance of a doctor to process Mr Brehon for drink driving, however the doctor could not attend immediately due to an emergency call. Garda Conlon was told that the doctor would attend “as soon as possible”. In the meantime, Mr Brehon acknowledged receipt of his rights and was searched with his consent. He then remained seated in the public office until the doctor arrived. When the doctor arrived at the Garda station, Mr Brehon gave a specimen of his urine pursuant to s. 12(1)(b) of the Road Traffic Act 2010. This specimen was taken precisely two hours after he had arrived at the Garda station. Mr Brehon was immediately released without charge pending the results of the analysis of his specimen. In October 2015, Garda Conlon received a s. 15 certificate from the Medical Bureau of Road Safety noting a concentration of alcohol in the urine of 155/100ml – more than twice the legal limit. Consequently, Mr Brehon was charged with the offence of drunken driving. In April 2016, Mr Brehon came before District Judge Mary Devins in the District Court. Mr Brehon’s solicitor challenged the lawfulness of Mr Brehon’s detention in the Garda Station. Garda Conlon was asked to justify the reasons for the delay in the doctor’s arrival, and cross-examined as to why no interim contact was made with Westdoc for a period of an hour and 20 minutes given the knowledge that there might be a delay. Mr Brehon’s detention was unlawful by virtue of delay. The prosecution were under a duty to act with reasonable expedition when dealing with an arrested person. Where the reasonableness of the period is challenged, the prosecution must objectively justify the reasonableness of any delay to the criminal standard of proof. The prosecution had failed to objectively justify the delay on the facts of the case, given the failure to act on the information received from Westdoc, and to avail of alternative options. Where the prosecution knew or ought to have known a delay would arise, there was a duty to seek out alternatives. Alternatives were acknowledged to have been available, but were not pursued. The DPP submitted that gardaí had done everything that they could have done to secure the attendance of the doctor. The DPP relied on David O’Neill v Judge McCartan and Director of Public Prosecutions  IEHC 83. Not satisfied that the law on the matter was sufficiently clear, Judge Devins proposed a consultative case stated pursuant to the provisions of s. 52 of the Courts (Supplemental Provisions) Act 1961. The question before the Court: In the circumstances of this case, was the accused in lawful detention at the time he was required to produce a specimen of urine? His detention was in compliance with the principle set out in Dunne v Clinton  IR 366, restated in the People v Walsh  IR 294 and in DPP v Finn  IR 372. The process for taking the sample was commenced immediately following Mr Brehon being taken into custody in Westport Garda Station. Mr Brehon was at no point detained for an ulterior, impermissible purpose such as further investigation of the offence (Dunne v Clinton). The initiation of the process of obtaining a sample was not delayed for an unjustified period of 20 mins (DPP v Finn). Ms Justice Murphy said the delay in the arrival of the doctor must be measured against the standard of reasonableness. Ms Justice Murphy said that the complaints regarding the DPP’s failure to justify the delay were “precisely the type of ‘time and motion’ scrutiny deprecated by Murray C.J. in DPP v Fox”. The fact that the arresting Garda did not take all possible steps, did not render a lawful detention unlawful. Ms Justice Murphy said it would be “ludicrous” to require the State “to prove the fact, nature and place of the emergency which arose in this particular case”. As such, she was satisfied that Garda Conlon was entitled to proceed on the basis of the information supplied to him by Westdoc. To use “le mot du jour”, Ms Justice Murphy said that there was a “backstop” of three hours in every detention for the purpose of taking a sample. This was not to say that an unauthorised detention could not occur within the three-hour period – for example if the arresting Garda had left the accused “cooling his heels for a half hour” before calling for the doctor and initiating the sample process, this might lead to the detention being found to be unlawful. Ms Justice Murphy said that the doctor’s explanation for his delay rendered “the period of time which seemed excessive reasonable”, and therefore answered the question in the affirmative.